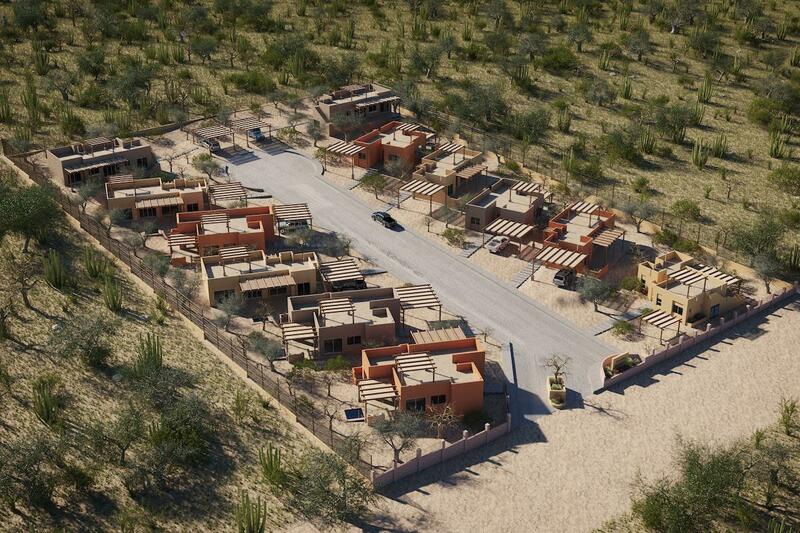 Here in the hills of El Centenario, your dream home awaits. 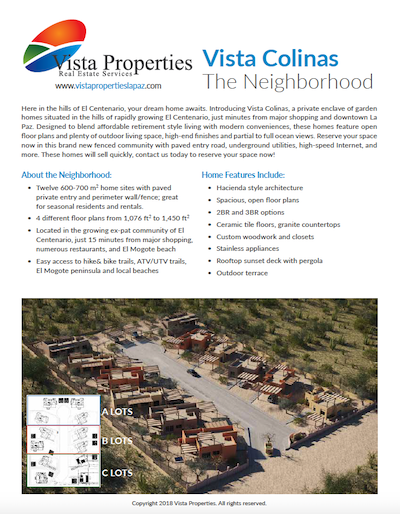 Introducing Vista Colinas, a private enclave of homes situated in the hills of rapidly growing El Centenario, just minutes from major shopping and downtown La Paz. 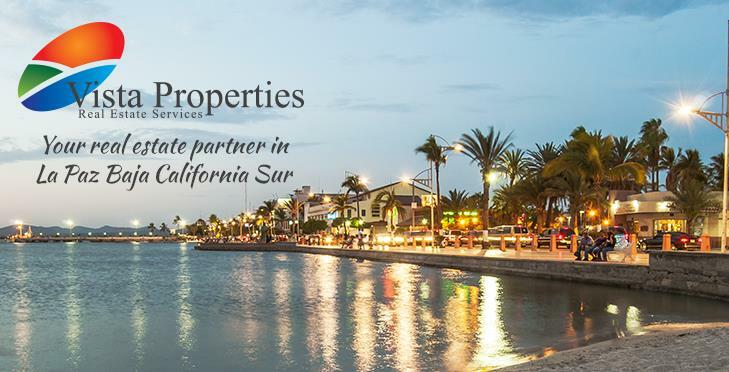 Designed to blend affordable retirement style living with modern conveniences, these homes feature open floor plans and plenty of outdoor living space, high-end finishes and ocean views. Reserve your space now in this brand new fenced community with paved entry road, underground utilities, high-speed Internet, and more. Starting at just $115,900, these single family homes on 600 - 700 m2 lots will sell quickly! 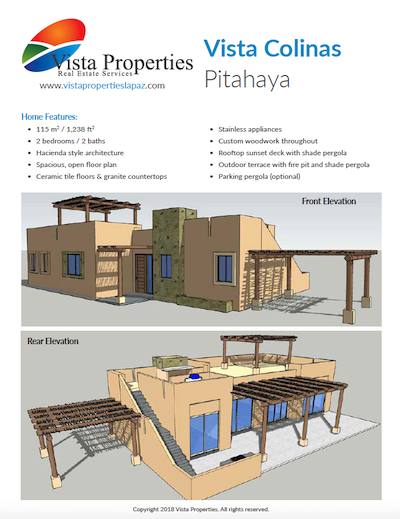 Download our flyer at left for more information to get more information about purchasing your new, ocean view home in Vista Colinas. 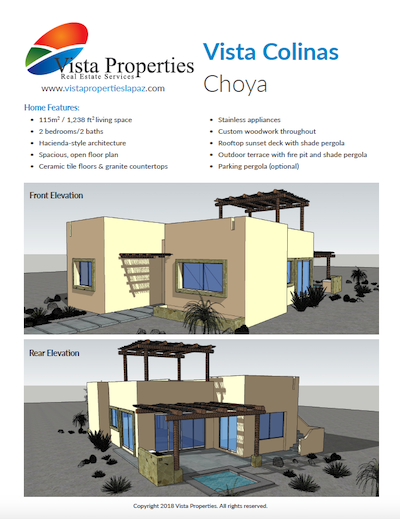 Vista Colinas is a 12 home enclave situated in the hills of El Centenario, overlooking the Sea of Cortez. Ocean views are available from the expansive rooftop patios on all homes, and some homes have ocean views from the main level. 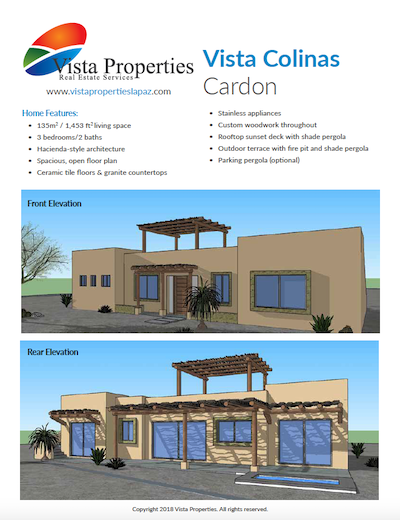 12 lots are available now with your choice of four different floor plans. Ugrade options include an optional plunge pool, parking pergola, upgraded finishes and more. 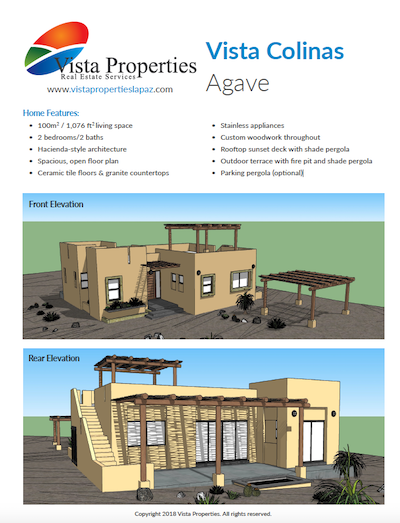 Click on the flyer at left for more information on the Agave Plan. Click on the flyer at left for more information on the Choya Plan. Click on the flyer at left for more details on the Pitahaya Plan.